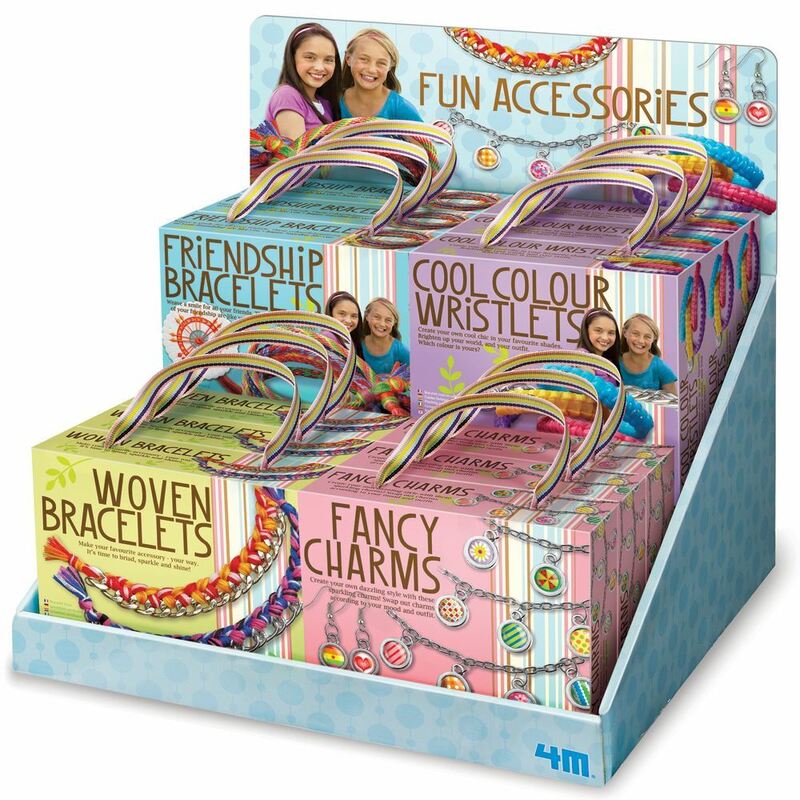 4M Craft display filled with 12 assorted fun accessories kits. Includes an assortment of 4 designs - Macrame Owl Necklaces, Gemstone Wristlets, Woven Rope Bracelets and Spiral Charm Bracelets. Distributed in New Zealand by Holdson.